This was taken in the Sahara desert. 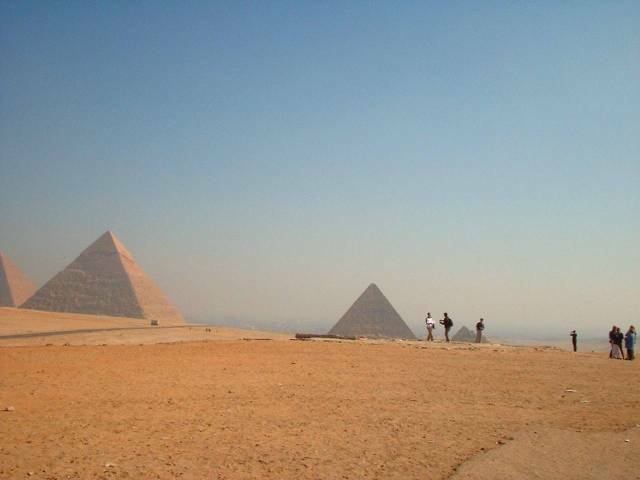 I find it interesting because, in comparison to the people in the foreground, the pyramids do not look big. But look closely, to the left at some dots that are people and a vehicle. Then you get a sense of the size!